c. Reclamation Works (Penang South Reclamation). Gamuda posted a lower group earnings of RM172 million this quarter compared with RM204 million for the same quarter last year because the Group stopped recognising its share of Splash profits with effect from this quarter following the sale of Splash at the end of last financial year. Works on the Pan Borneo Sarawak Highway – Pantu Junction to Btg Skrang is progressing on schedule. The lower earnings from property division is mainly due to lower contribution from the property projects in Malaysia. Lower earnings is mainly due to the sale of Splash last year. The Group’s profit before tax decreased from RM255 million in the preceding quarter to RM226 million in the current quarter mainly due the sale of Splash at the end of last financial year. The Group anticipates a satisfactory performance this year driven by overseas property sales especially Vietnam and Singapore, the progress of MRT Line 2 continue to pick up pace and steady earnings contribution from the expressway division. Naim Engineering Sdn Bhd – Gamuda Berhad JV accepted the award of the WPC04 (Pantu Junction to Btg Skrang) for the Pan Borneo Sarawak project on 25 July 2016. The scope includes the widening and upgrading of the existing 89.30km long, 2-lane single carriageway road from Pantu Junction to Batang Skrang to a 4-lane dual carriageway of JKR R5 standard. Overall cumulative progress at the end November 2018 was 35% and is on track. The Railway Scheme for the LRT was submitted to Suruhanjaya Pengangkutan Awam Darat (SPAD) on 29th March 2016 and the approval is expected in March 2019. The detailed engineering design will commence in April 2019. The Environmental Impact Assessment (EIA) Report for the LRT was submitted to the Department of Environment (DOE) on 18th May 2017 and the approval is expected in February 2019. The EIA Report for PIL1 has been submitted to DOE on 7 May 2018 and is currently being revised to incorporate comments received during the public display. Approval is expected in February 2019 with the detailed engineering design to start in March 2019. The Final EIA Report for Penang South Reclamation was submitted to DOE on 15 August 2017. Supplementary studies, including Social Impact Assessment (SIA) and Fishery Impact Assessment (FIA) were specified by the DOE, have been submitted for review. Approval is expected in February 2019 and Majlis Perancang Fizikal Negara (MPFN) approval in March 2019. The detailed engineering design shall commence in April 2019. The two developments in Vietnam namely Gamuda City located in Hanoi and Celadon City in Ho Chi Minh City continued to deliver robust sales and remained the biggest contributor of overseas sales. The property market remained strong on the back of the strong economy in Vietnam. Gamuda (Singapore) Pte Ltd in partnership with Evia Real Estate (8) Pte Ltd and Ho Lee Group won the tender for the land parcel at Anchorvale Crescent in Singapore. Construction works is expected to commence in mid 2019. With the completion of construction works at 661 Chapel Street, Australia in April 2018, sales is expected to improve. Established projects in Horizon Hills and Jade Hills continued to sell well while newer townships like Gamuda Gardens and twentyfive.7 are seeing better take up rates. Gamuda Cove, a 1,530-acre smart city in a nature sanctuary with a GDV of RM20 billion, located opposite the Cyberjaya/Putrajaya interchange along the ELITE Highway and 15 minutes from KLIA was soft-launched in September 2018. The interchange connecting the Elite Highway to Gamuda Cove is targeted for completion by March 2019. A 50-acre Discovery Park, which is part of Gamuda Cove’s 372-acre commercial component, will be the first tourism hub and hangout spot in the township and will be open by middle of next year. All 180 units of the first phase residential terraced houses were sold. The second phase of the landed residential parcel is slated for May 2019. The traffic volumes of all expressways have been stable and resilient. Splash, 40%-owned by the Group, was sold to Pengurusan Air Selangor Sdn Bhd (“Air Selangor”) for RM2.55 billion last year. The upfront payment of RM1.9 billion is expected to be received in early 2019 upon completion of all condition precedents prescribed in the share purchase agreement. Thereafter, the balance purchase price of RM650 million will be settled in nine equal annual instalments. The Group’s 80%-owned Gamuda Water Sdn Bhd (“Gamuda Water”) accepted Air Selangor’s offer to settle its outstanding receivables and enter into a new operations and maintenance agreement (‘OMA’). Both parties are currently in the midst of finalising the terms of the debt settlement and new OMA. In order to facilitate the query of the company and stock picking articles and videos I have written, an index has been produced. 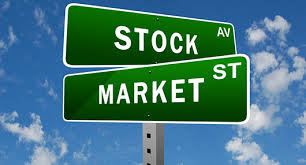 Everyone can find company and stock picking articles and videos from https://klse.i3investor.com/blogs/general/187134.jsp by date.